PLEASE NOTE: you do NOT need any plan, private health or concession cards to make an appointment. To obtain a Medicare rebate, a written referral from your GP, Paediatrician or Psychiatrist is required. The current Medicare rebates for child and adult therapy is $84.80 for up to 10 individual sessions and 10 group sessions in a calendar year. On the spot Medicare claiming is available at the Wynnum Clinic only. The chronic disease management (CDM) Medicare items are part of a government initiative that assists people living with a chronic and/or complex medical illness. Medicare rebates are available for treatment from allied health professionals who are assisting in managing the illness. Clients have complex care needs if they need ongoing care from a multidisciplinary team consisting of their GP and at least two other health care providers, one of which may be a speech pathologist. The GP will prepare a GP Management Plan and Team Care Arrangements and make the referral to the speech pathologist. The client cannot claim the rebate from Medicare until the speech pathologist receives the referral form. The GP nominates the number of sessions up to a maximum of 5 per calendar year. The five sessions are per client, not five sessions per allied health professional, and may be with a number of allied health professionals (e.g., three with a speech pathologist and two with an occupational therapist). If all sessions are not used during the calendar year in which the client was referred, the unused sessions can be used in the next calendar year. However, those sessions will be counted as part of the five sessions with allied health professionals available to the client during that calendar year. Clients continue to be eligible for rebates for speech pathology while they are being managed under a CDM plan as long as the need for eligible services continues to be recommended by their GP in their plan. The DSS has established a panel of early intervention service providers to deliver evidence based services to eligible children as part of the Helping Children with Autism package. The Early Intervention funding package is aimed at providing increased access to Early Intervention for children aged up to six years with an Autism Spectrum Disorder (ASD). The funding supports the delivery of evidence based Early Intervention to facilitate improved cognitive, language, emotional and social development prior to a child starting school. Children with one of the listed disabilities are also able to access Medicare rebates under Better Start. 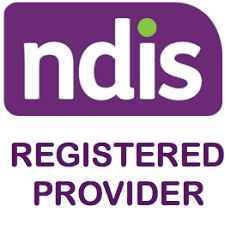 If deemed suitable by the child’s Better Start service provider, parents may use some of their child’s resource funding to pay for accredited Auslan courses delivered by a registered training organisation. Certificates II and III level courses for parents are in scope under Better Start. items or interventions that are out of scope for Better Start, such as swimming lessons. items or services that are provided through other schemes or funding arrangements, such as incontinence aids or reading glasses. Staff are Workcover approved therapists and are able to provide counselling and therapy under Worcover arrangements. There are often no out of pocket expenses one your Workcover claim is approved. Billing is done directly through the clinic to Workcover.